The task of driving requires your full attention. 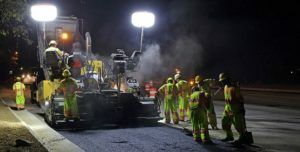 Unlike normal road conditions, work zones involve large equipment, traffic pattern changes, lane closures, uneven pavement, variable speed limits, and – most importantly – workers. That’s a volatile environment. In a work zone, drivers must obey all traffic safety laws including the speed limit, drive absolutely distraction-free, adhere to all signage, and be on the lookout for highway workers. 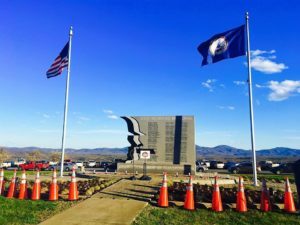 The VDOT Workers’ Memorial, constructed in 2004 with contributions from VDOT employees and citizens, is located at an overlook off I-64 on Afton Mountain.